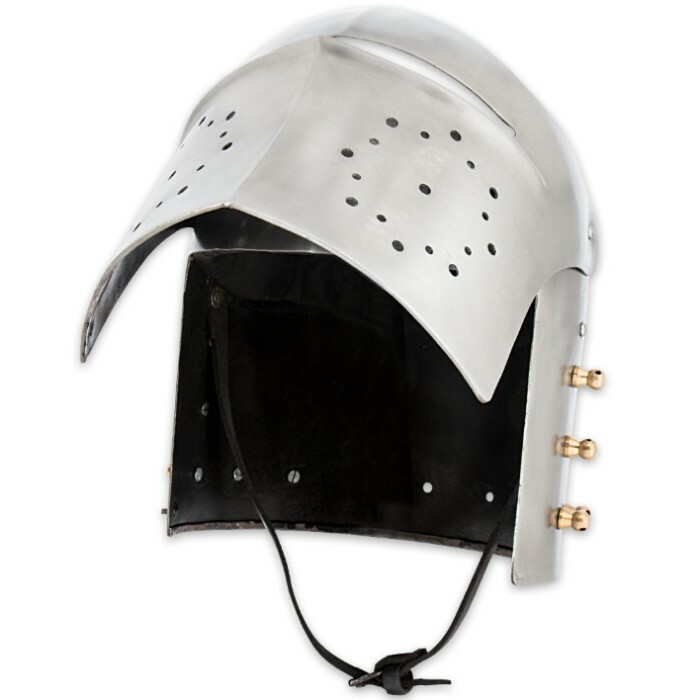 The Crusader Knight of the Realm Helmet is a tribute to the brave Crusaders who fought and died for their cause. 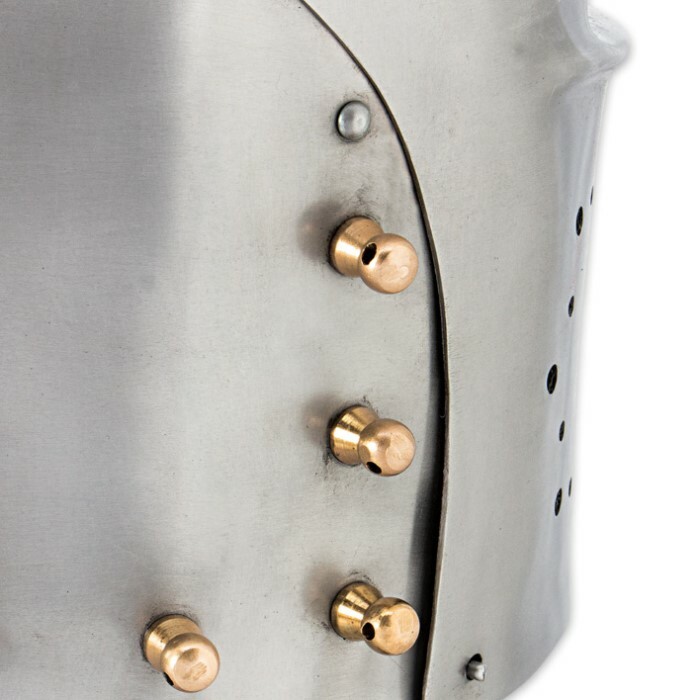 Constructed of 16 gauge steel to withstand an enemies’ blows, it also has a strong chin strap to keep it firmly in place. Only a thin slit for vision and air holes are the only breaks in its otherwise solid steel construction. 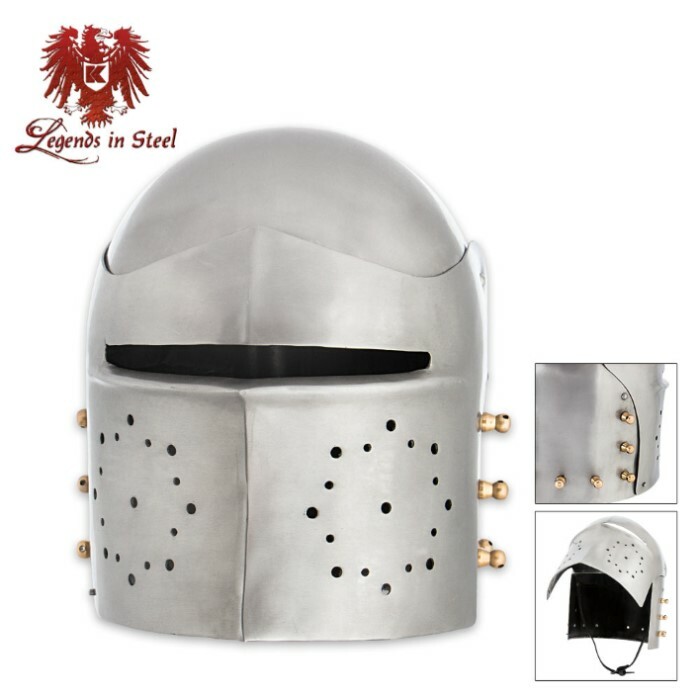 This helmet is also lined for a comfortable fit.